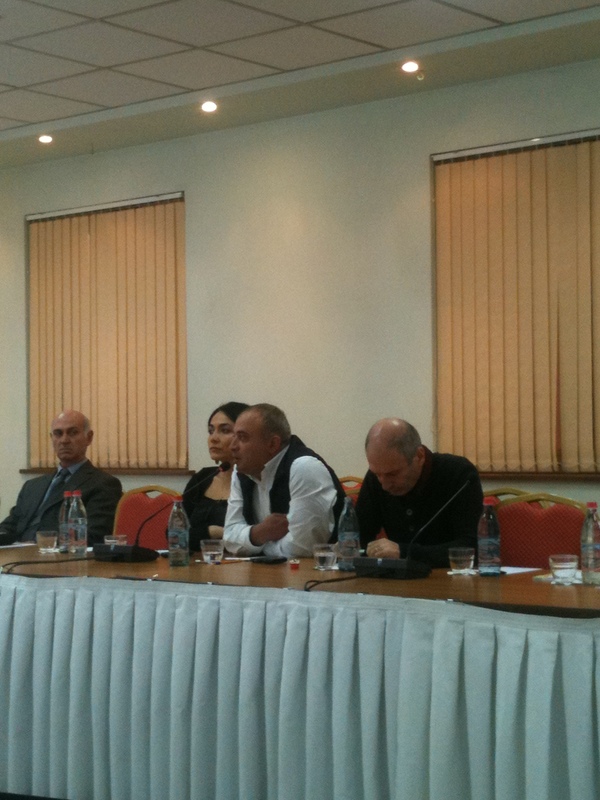 The Hrayr Maroukhian Foundation (HMF), with the financial support of the Friedrich-Ebert-Stiftung (FES) of Germany presented its study entitled, “Monopolies in Armenia” on February 11, 2013 at Ani Plaza Hotel in Yerevan. 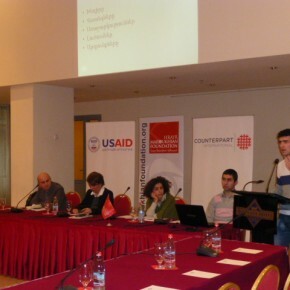 The HMF working group presented their findings regarding monopolies in the Republic of Armenia, which included the current situation of the markets in Armenia, international experience in combating and regulating monopolies, they analyzed the activities of the RA’s State Commission for the Protection of Economic Competition (SCPEC) and made recommendations for a new model to regulate monopolies in the country. 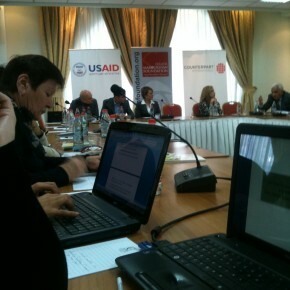 Members of civil society, economists, university professors, representatives from the SCPEC, political parties, international organizations and embassies participated in the event. Click on the links below to read the papers. 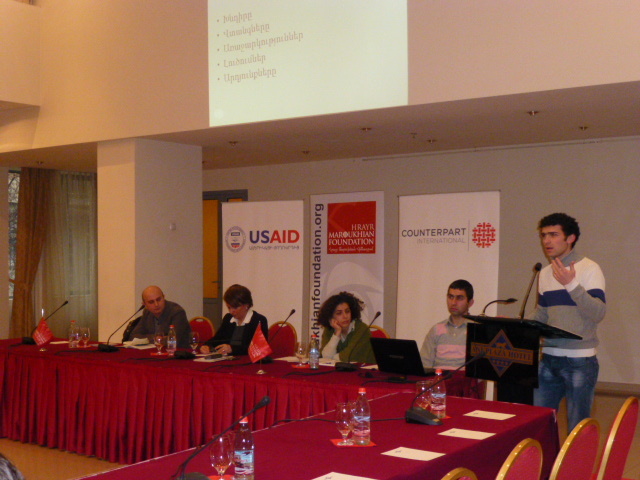 The Hrayr Maroukhian Foundation with the financial support of Counterpart and USAID launched this program to identify specific mechanisms and ensure that current environmental activism is being translated into real institutional change in Armenia. 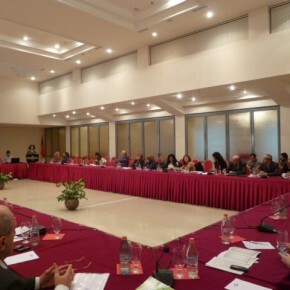 The HMF organized a series of round tables where activists and policy makers came together to discuss concerns and shortcomings in legislation and other institutional mechanisms. 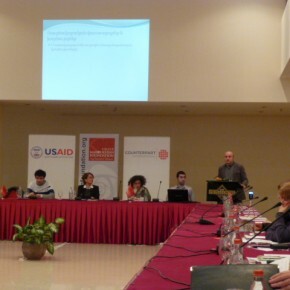 The objective of the research was to identify problems of policy, legislation and implementation and make corresponding recommendations based on input from environmental experts, activists, researchers, NGOs, policy makers and government officials. 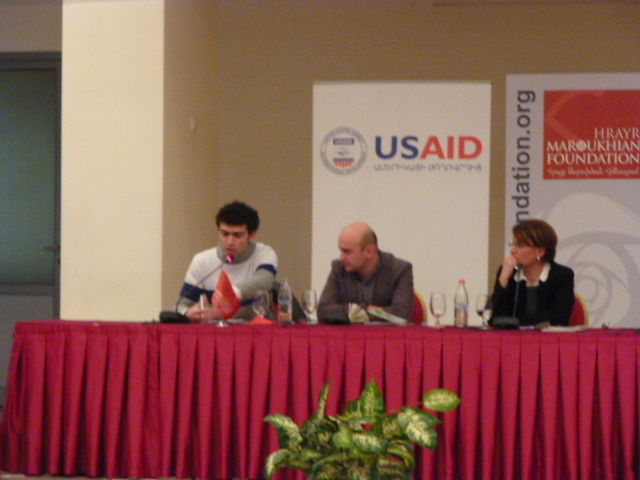 After two successful round tables, HMF experts prepared two separate papers. 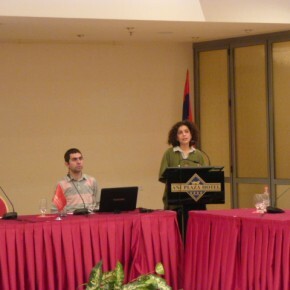 The first was a “Blueprint for Activism” developed for future activists to ensure their goals are met effectively, based on the experience of the environmental activists involved in the discussions as well as input from NGOs and experts in the field and the second in the form of a policy paper was “Environmental Policy Recommendations,” which underscored the changes needed to legislation and government practices to ensure citizen and independent expert input is taken into consideration before decisions impacting the environment are made. 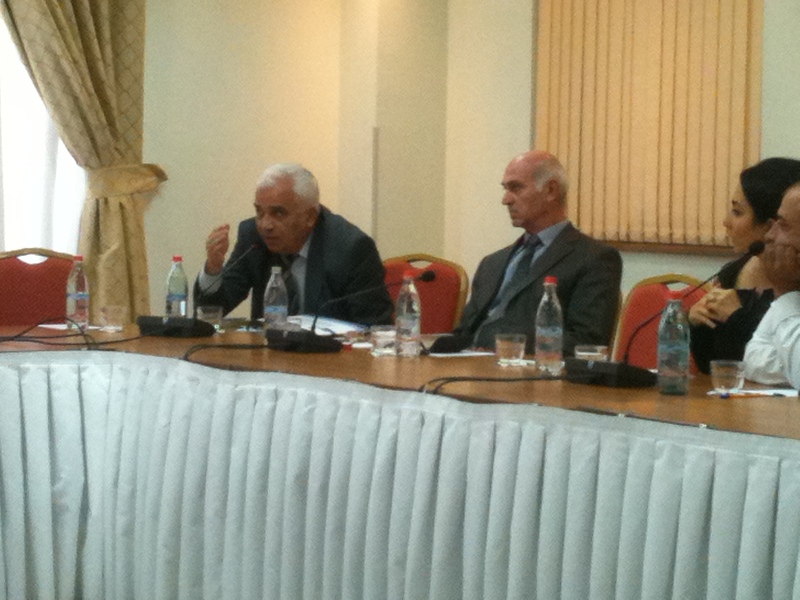 The papers were presented at a third and final round table in Yerevan on January 29, 2013. Click on the link below to read the papers. 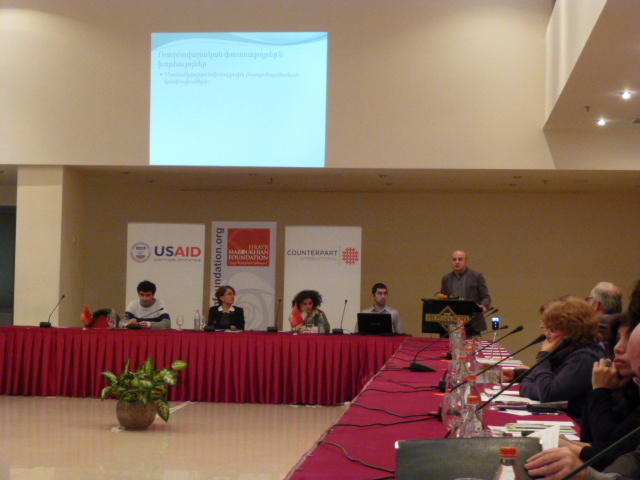 On October 31, 2012, the Hrayr Maroukhian Foundation with the financial support of Counterpart International and USAID held its second round table for the project, “Transforming Street Action to Institutional Change: Environmental Policy Dialogue” at the Congress Hotel in Yerevan. 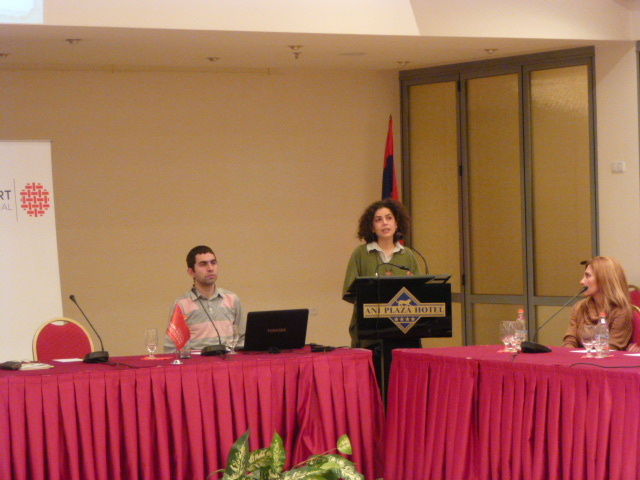 Taking part in the discussion were environmental activists, NGOs, university professors, experts and representatives from the Ministry of the Environment and the Ministry of Energy and Natural Resources. The objective of this event was to discuss and deliberate ways to ensure more transparency and cooperation between the government and civil society in environmental policy-making. 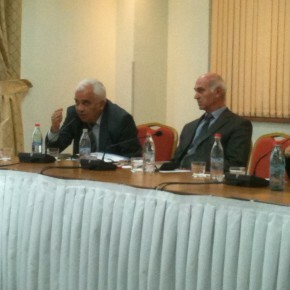 The discussions were at times heated but also very honest and constructive. 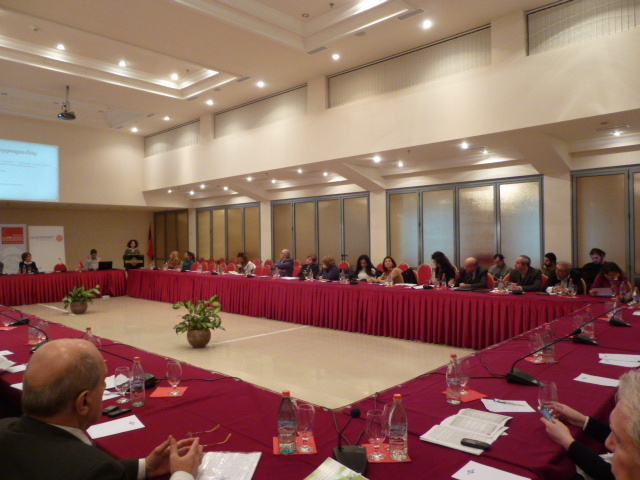 Based on the results of the discussions, HMF experts will be preparing a paper highlighting the shortcomings in environmental legislation; recommending mechanisms to guarantee the application of the laws and ensuring inclusion of all stakeholders with regard to environmental decision-making. 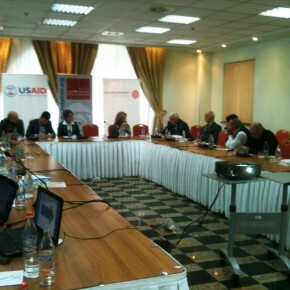 The HMF would like to thank our partners and all those who took part in this very productive round table. 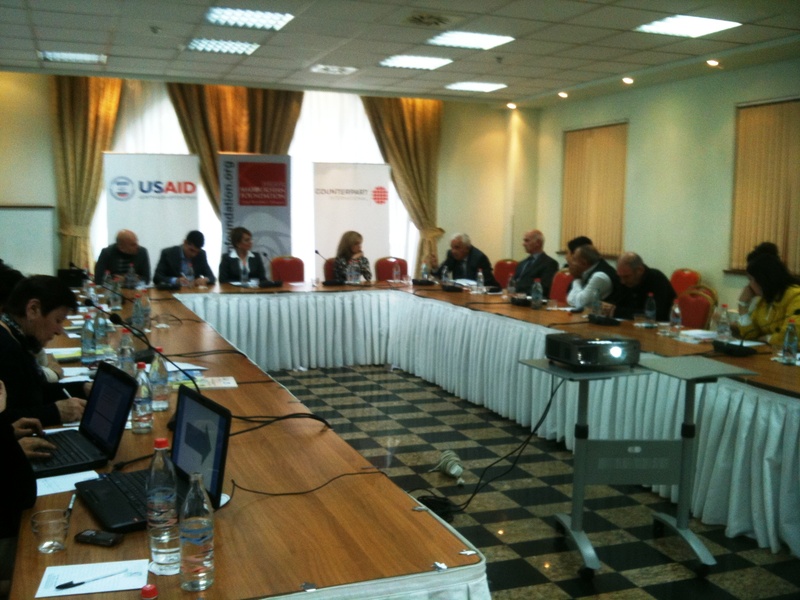 The Hrayr Maroukhian Foundation, with the support of USAID and Counterpart International hosted a round table event on September 20, 2012 in Yerevan. 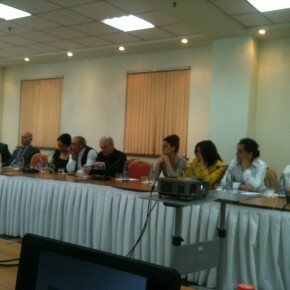 This was the first in a series of three round table discussions as part of the HMF’s program, “Transforming Street Action to Institutional Change”. Around 30 environmental activists took part in the round table, “Being Active, Staying Active,” where they discussed the many challenges they face including the gap between their environmental activism and real institutional change in the country. 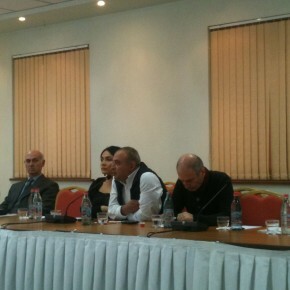 The event was moderated by Nvard Manasyan, who raised many important questions to the activists, researchers and members of the media. 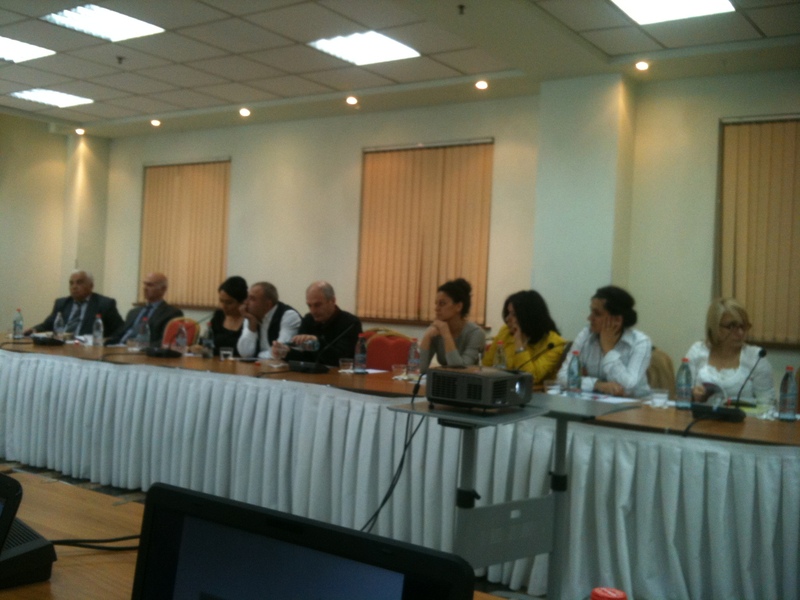 As a result of the round table discussion a document, “Blueprint for Activism in Armenia” will be prepared by HMF experts and presented to the public at the final round table. 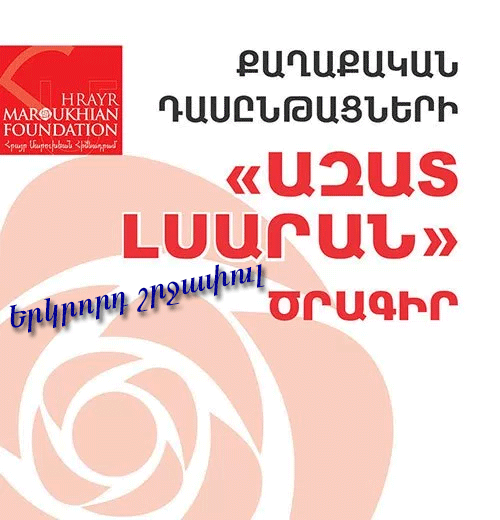 The Hrayr Maroukhian Foundation, in cooperation with the Friedrich-Ebert-Stiftung, has successfully published a policy paper entitled «Սոցիալական Բարեփոխումները Հայաստանում II» (“Social Reforms in Armenia II”) in both Armenian and English, focusing on Agriculture, Mining and Education. 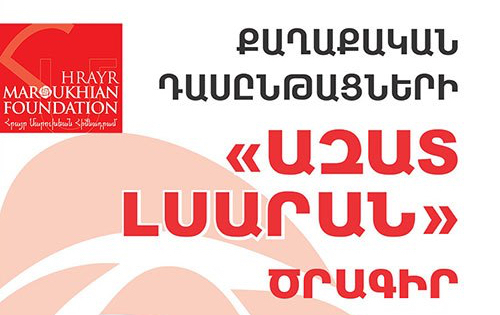 The Hrayr Maroukhian Foundation (HMF) with the financial support of Counterpart International Armenia is pleased to announce its upcoming program, “Transforming Street Action to Institutional Change: Environmental Policy Dialogue”. 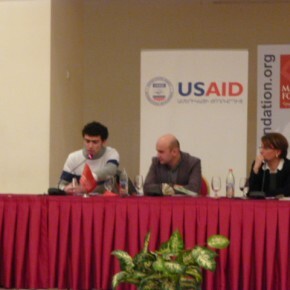 Over the course of the next five months, HMF will be hosting three round tables, the objective of which will be to discuss ways to ensure that environmental activism and advocacy lead to institutional change including public involvement in decision making and policy formulation, developing mechanisms for transparency and in the way government conducts business with regard to environmental issues. 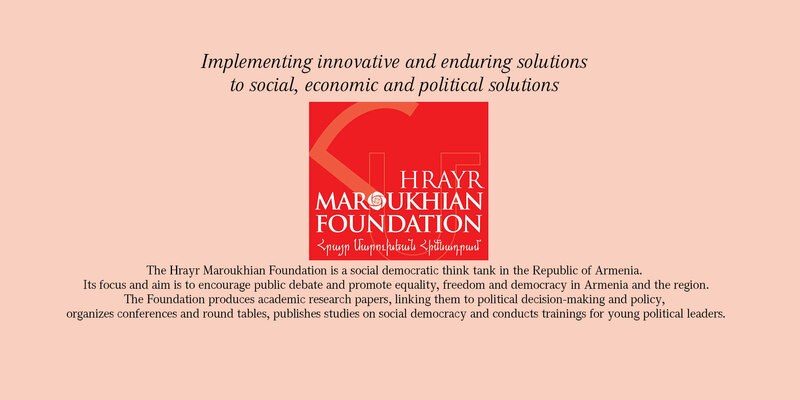 As a result of this program a Blueprint for Activism and Environmental Policy Recommendations will be developed by HMF experts presented at the final round table.